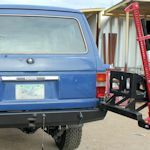 Our 60 series Classic Rear Bumper features two easy to use swing-outs, is relatively simple to install, and is practically indestructable. 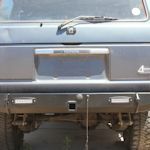 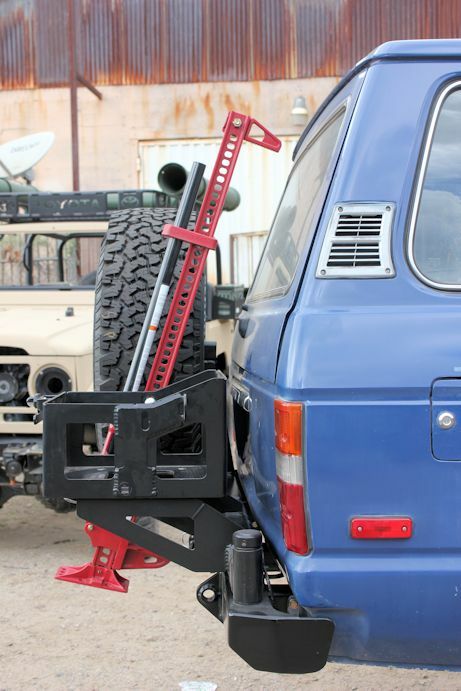 No part of this rear bumper/tire carrier touches your Land Cruiser's body. 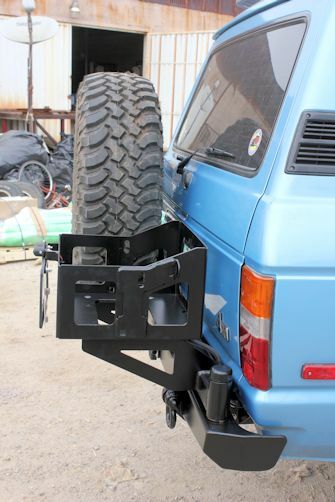 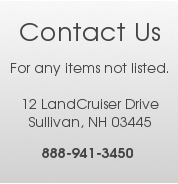 Bumper section is built from precision cut, formed 3/16" plate steel. 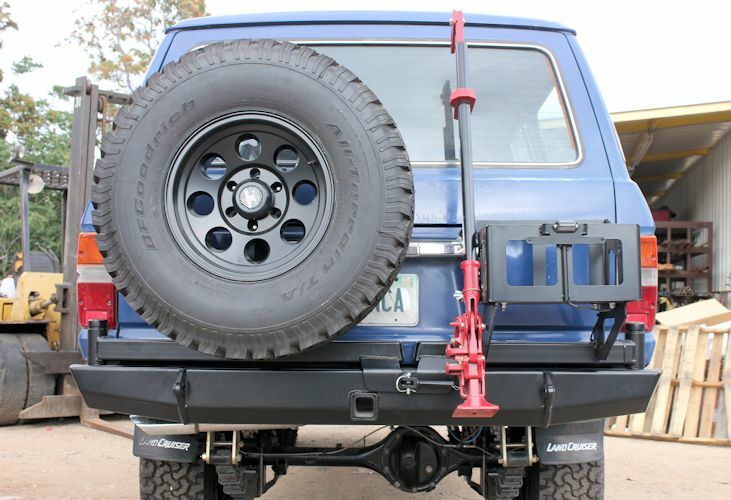 Tire carrier and jerry can basket swing-outs are made with 2"x.250" wall square tubing. 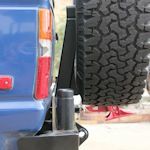 Although strength and durability were our chief concerns, much attention was given to appearance and utility. 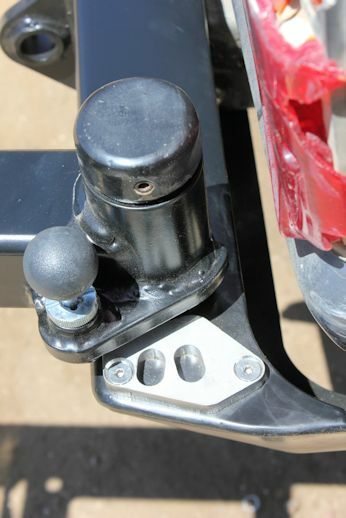 Holding the channel tight to the body and chamfering the bottom at 45 degrees, departure angle is maximized without sacrificing structural integrity. 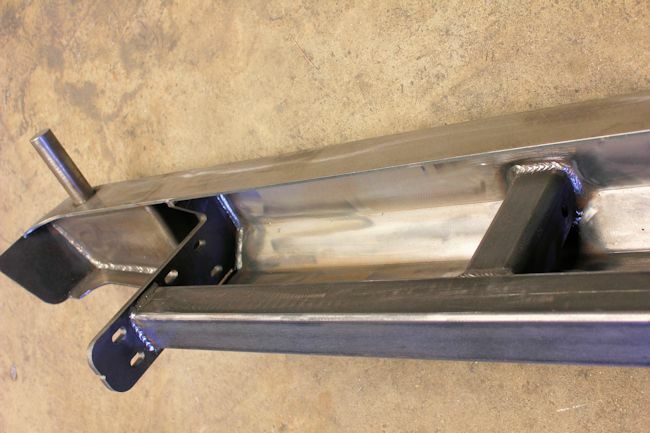 The outer "wings" are boxed for reinforcement making them very rigid. 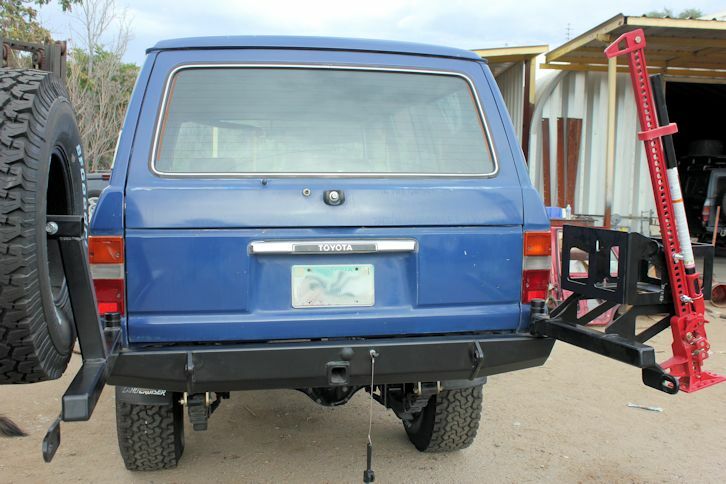 This carrier does not rattle or flex while driving rough roads. 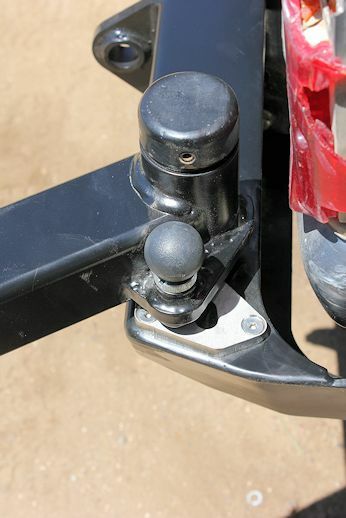 Pivots are precision ground & polished shafting and .250" wall DOM tubing with replaceable bronze bushings. D-ring/shackle mounts are 1/2" thick plate steel. 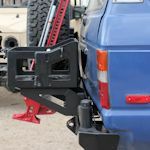 Features a built-in tow/hitch receiver with chain loops that connects to a 2-1/2"x.188" wall square tube cross bar. Now featuring stainless steel lockouts for when you would like to keep the tire carrier arms open. 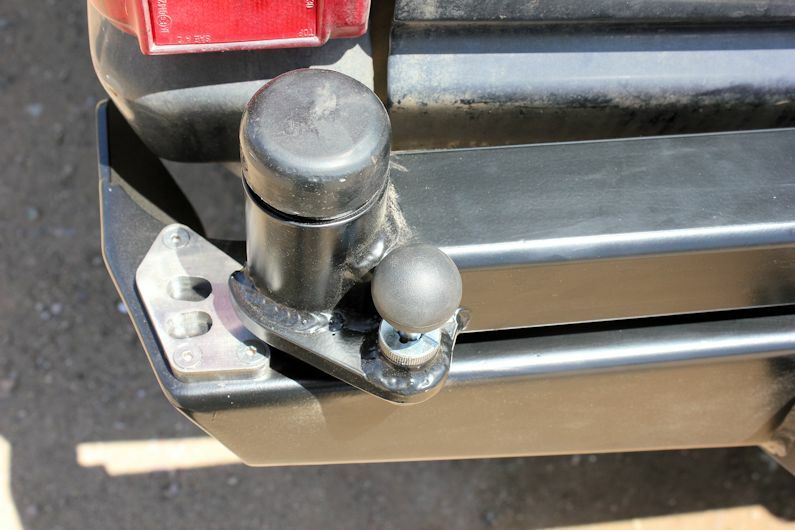 Our lockouts have two positions to choose from, will not chip or rust, and are included with any 60 series Classic Rear Bumper option. 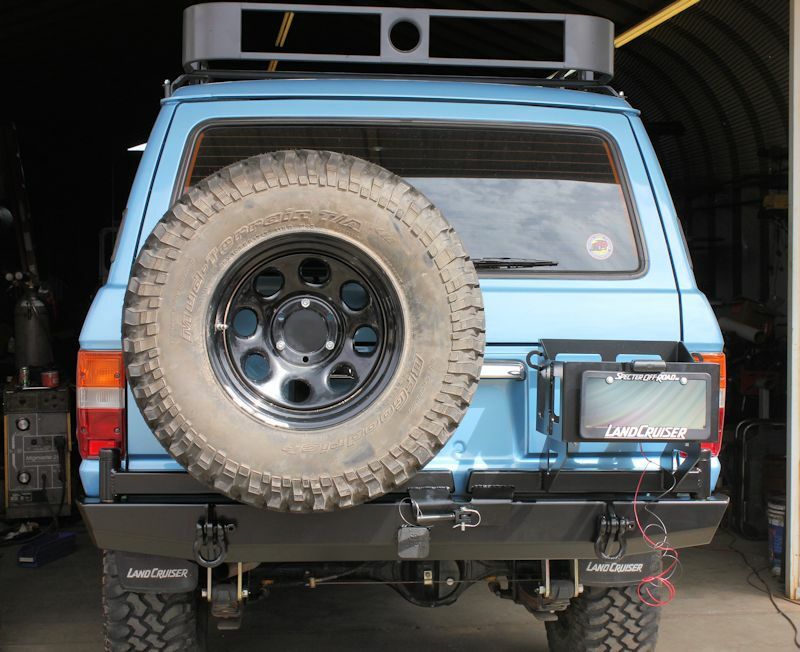 We also now offer the option of integrated rear reverse lights to our 60 series rear bumpers. 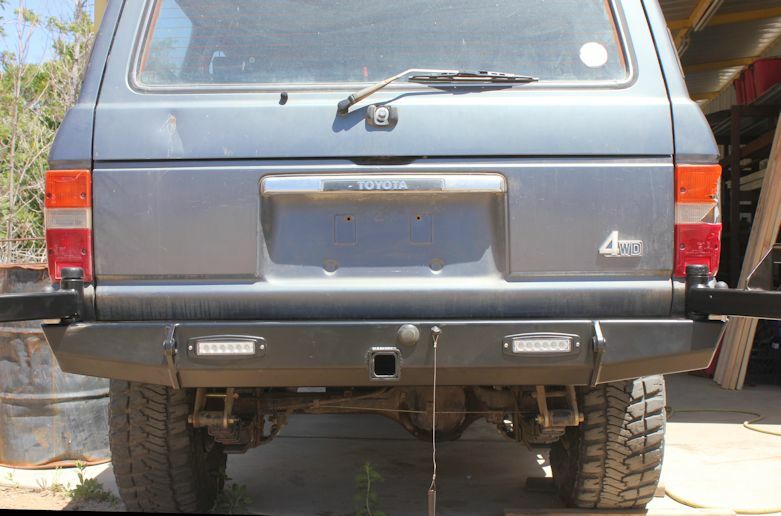 These lights are two very bright 18 watt flush mount LEDs. 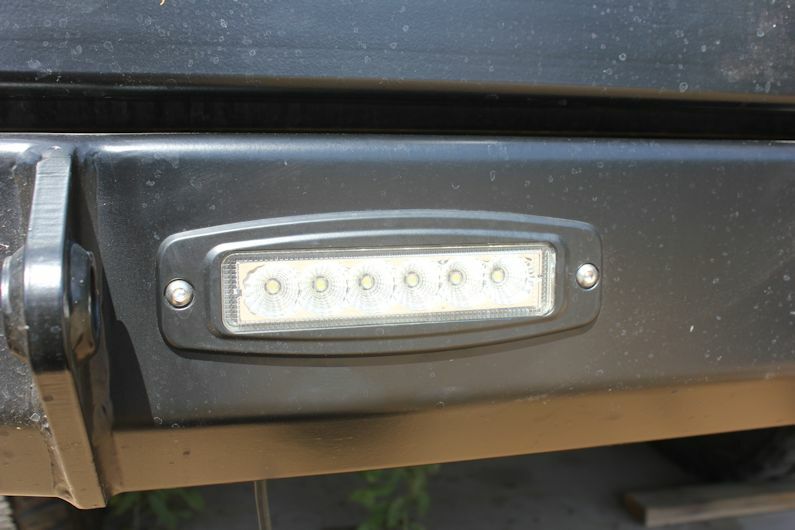 Although they can be wired into the reverse light circuit, because of their brightness, I prefer switching them independently. 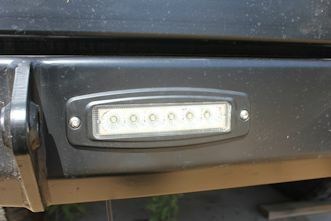 These will be welcome on the trail or as a work light for trail repairs. 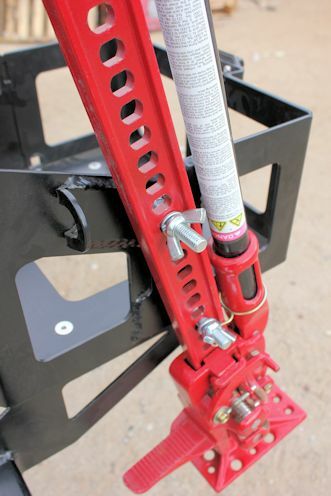 Shackle mounting points are reinforced with 1-3/8"x.188" wall sleeves. 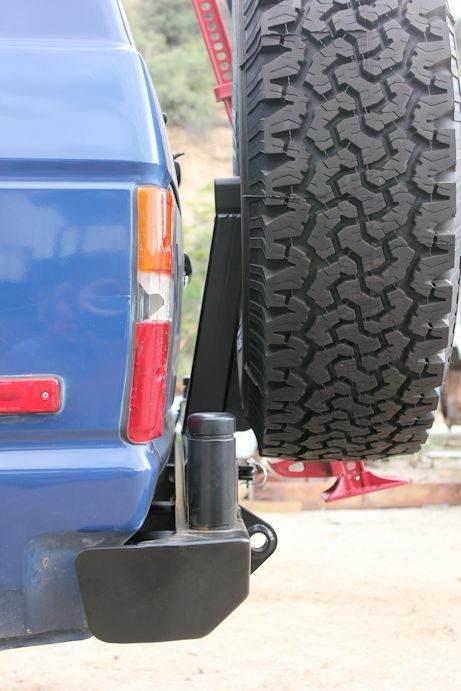 3/8" tire mounting plate will easily handle a fully inflated 37" tire and is adjustable for wheel width. Jerry can basket and basket mount are constructed of 3/16" plate steel. 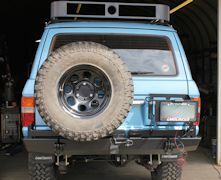 The basket features a Hi-lift jack provision, holes to mount license plate and license plate light, and can hold two jerry cans. 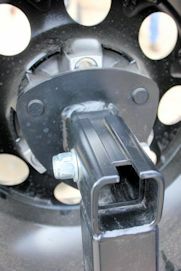 Closes with a Carr Lane Double Cam Clamp. 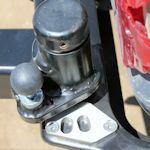 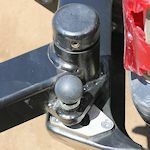 To install, you must remove your frame's factory rear cross member, the eight rivets in your rear body mounts, as well as the stock rear bumper mounts(six rivets). 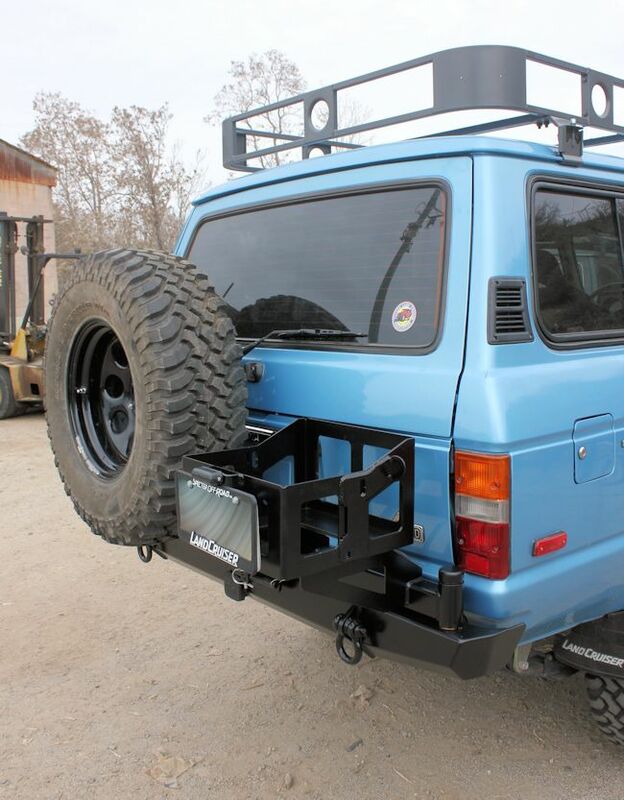 The bumper then slides and bolts into the frame rails and provides even more support than before with our built-in cross bar.